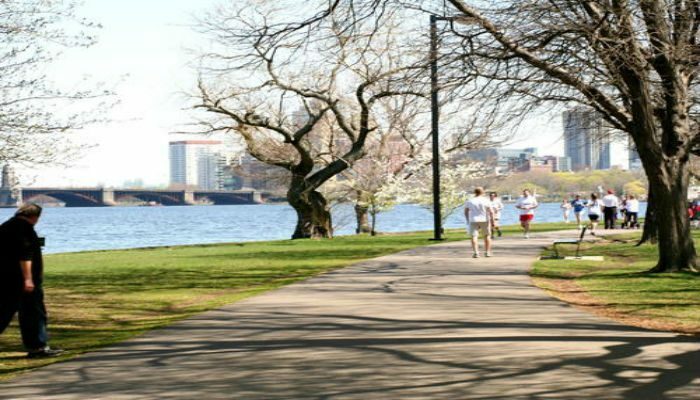 The Charles River Path is one of the greatest runs in the United States. 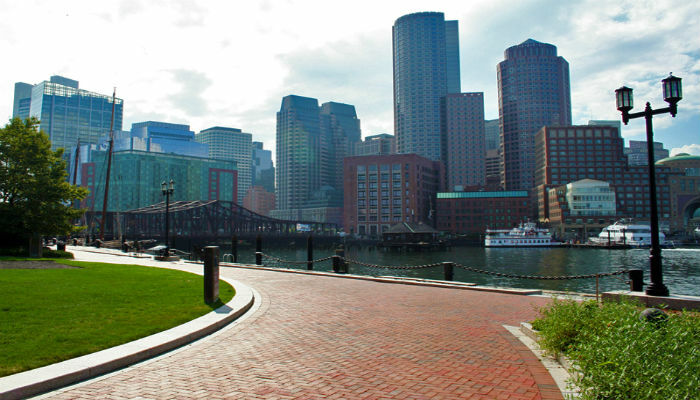 The river divides Boston and Cambridge, with paths on both the Boston and Cambridge sides. The path runs from Science Park in Boston, all the way to Watertown, Waltham, and Newton. 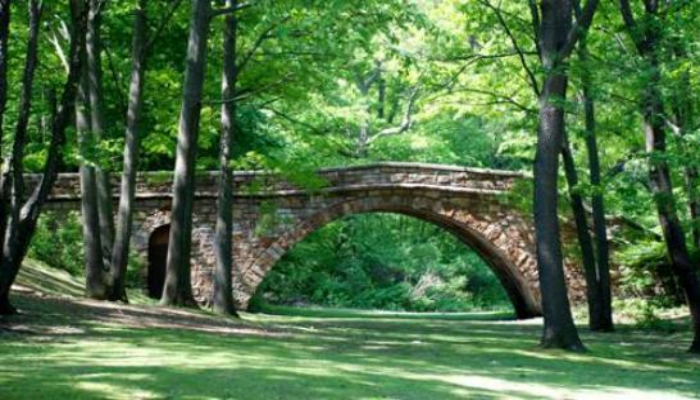 The heart of the path is from Science Park to Harvard University (JFK Bridge). 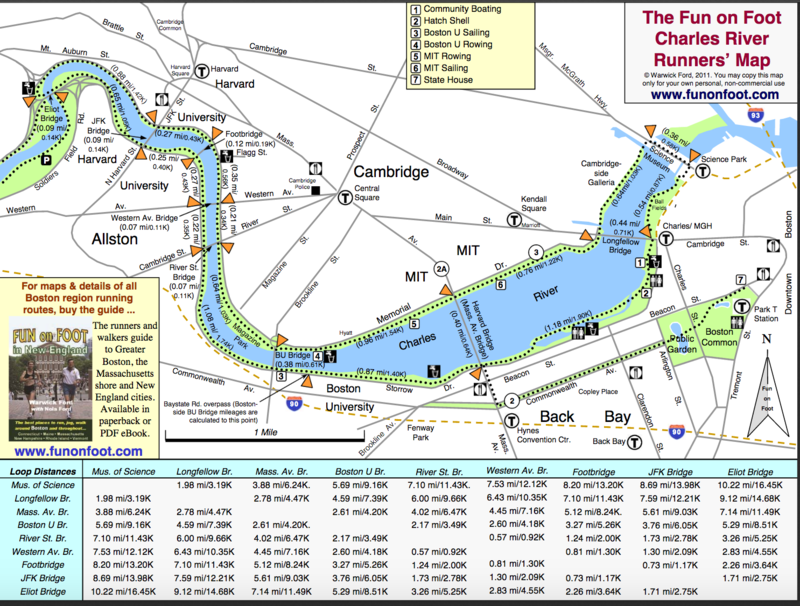 The best way to experience running on the Charles River paths is to plot a “loop”, using one of the many bridge options to cross back over. 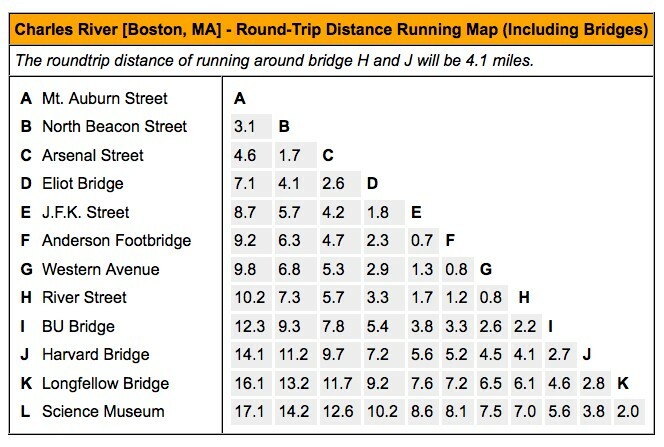 Below is a list of distances for various loop options. The route map shows the loop from Science Park to Harvard University, crossing at J.F.K. street, a distance of about 8 miles. The Upper Charles River paths continue west of Harvard University, to Watertown (Mt. Auburn St, below), and then through Waltham to Newton. See the terrific map below, courtesy of FunonFoot.